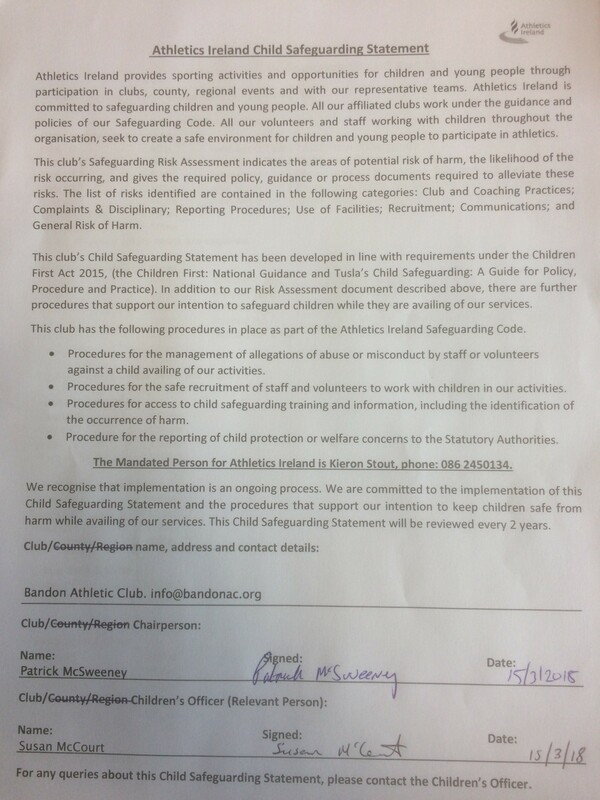 Child safety is something we take very seriously in Bandon A.C. and we are committed to ensuring all children have the right to partake in athletics in a safe environment. This page will be used to provide access to documents and guidelines in relation to child safety. Bandon A.C. comply with all regulations in relation to General Data Protection Regulation (GDPR). You can opt out of the club text messaging at any time, just by replying STOP to any message from the club phone.